It has been a while since we update our last blog, the team has been very busy as always and we find blog may not be the best way to keep our customers with latest update since social nertwork has taken over the way it used to work. We have been working on some excitig stuff recently and we will introduce Fridge Manget Figure very soon, it is a figure that has a magnet in it ( within the figure, not visible ) so it can be placed on the fridge. below is the sample we just did, it looks really amazing. Another Xmas is approching, as usual, our office is getting busy and start processing Christmas orders. To avoid deplays, please place your order before 5th December 2014 so that would give us enough time to work on your order and have it delivered before Christmas. Any order that is placed after 5th December may not arrive before Christmas however we will try our best to complete it as soon as we could. We have been building some really good wedding cake topper templates recently, today, I will show you some of our motorcycle wedding cake topper templates we have built. We built this figure template as a birthday gift and wanted to place on a cake, the client wanted to give her boyfriend something that is unique and never seen before, so she sent us a picture of her boyfriend which he wore his team suit and hold his motorcycle helmet. It tooks us 7 days to complete and the client was surprised. She told us her boyfriend was very happy when he saw it appear on his birthday cake and that was the most surprisest gift he ever have. Good news for U.K and E.U customers, we have just adjusted the shipping cost with 20% off with DHL, we wish that could encourage more first time viewer to try out products and have their own mini me figurine. As Christmas is coming soon, we are already getting busy and if you wish to have your own mini me, please place an order with us as soon as possible to avoid delays. We have trained more artists to join our team for Christmas and coming years. We are looking forward to hear back from you. Looking for unique custom gifts this year? To celebrate Christmas and the New Year, have launched our Christmas & New Year Sale earlier this year! All our templates and bespoke templates have now have 20% of their price off, this year, we issue our discount as usual, the price on our shop section still remain the same, you will need to go to our facebook page to get the discount code. In order to have the access of the discount page, you will need to click 'Like' button on our facebook page. As the air gets coder by day, Christmas seems to be sneaking up on us quietly, the cheerful happy season of celebration of the year is coming real soon. Christmas is a festival of joy and enjoying yourself to the fullest! Your decorate the Christmas tree, play games, go for trips, eat your favorite food and most importantly, give and receive gifts. 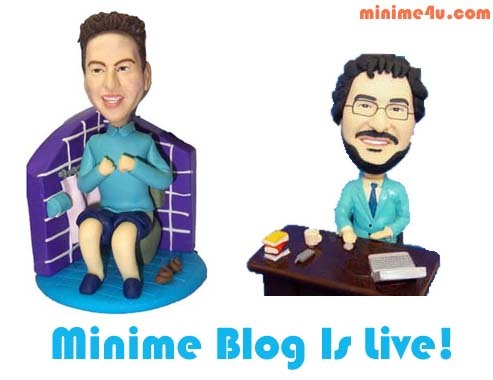 Minime4u.com has a new looking now. After 3 months of hard work from IT department, we have finally re-build our entire shopping system with a better looking and easy use facilities. We have a fantastic sales so far, our artists team has been growing and we are now have 50+ artists in the studio serving our customers all over the world through minime4u.com and we have a growing number of franchisee's in China too. Happy new year everyone, sorry for this lately post, we were too busy to look after this blog during xmas time, and we had a fantastic sales during xmas, thanks for all you people's support!! 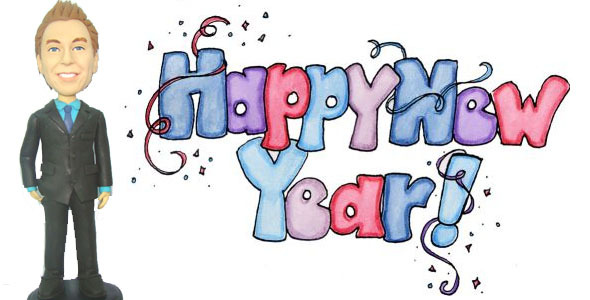 In the new year, we have many plans to boost our sales and we aim to be the top producer in this business. So if you guys have any suggestion, no matter what you want to say, even say hello to us, please let us know, and we will give discount code out as a thanks , and yes, you may have noticed that we have not update our tweets for discount code for ages, sorry about that, we will updates coupon code more often this year. After a while of hard working from our IT people, this blog is finally comes out. In the near future, we will list more interesting models from us and coupon codes which you can save a lot on orders. 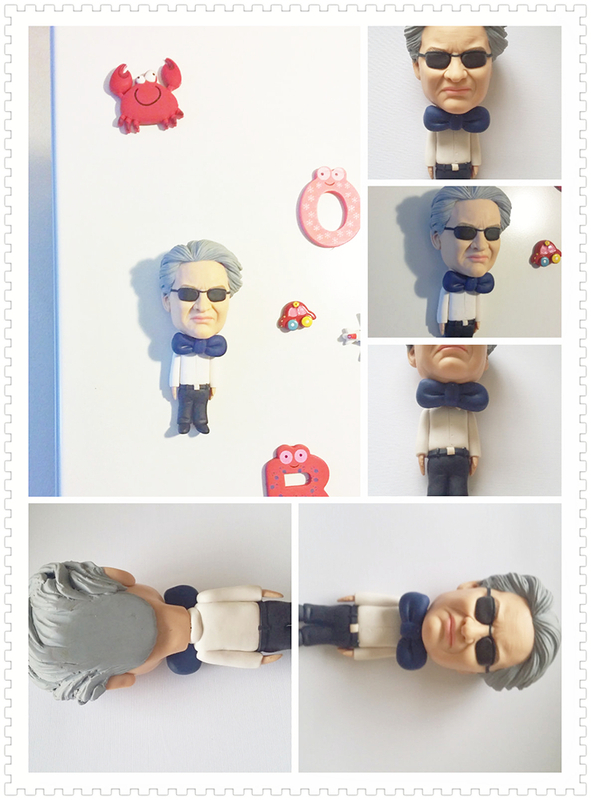 Also we would like to share more creative ideas with you about this business and what kind of doll you should make in order to make it unique and impressive! Xmas is coming soon, we will list more models on the site for a selection for your xmas gift ideas. 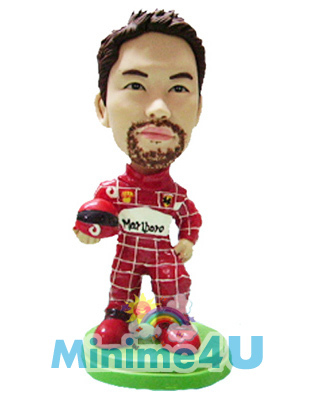 Tell someone about the cool stuff for sale on Minime4u.com and about how they can have their own Mini me doll!